It is now quite common to find heaps of sewage sludge piled in the corner of fields awaiting future spreading. As it has all been processed only a faint residual whiff hints of its human origins. 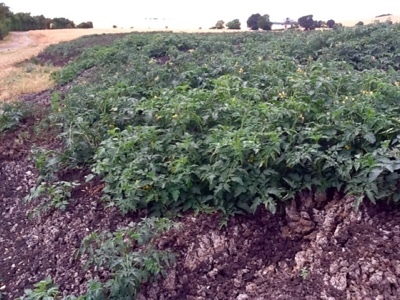 I passed a large heap today and was amazed to see it covered with a huge mass of tomato plants. Perhaps, of all the seeds we regularly eat, these pass through our digestive tract undigested and the find themselves in a nutrient rich environment in which to grow. I am reminded how nettles are an indicator species of human habitation in that they too like nutrient rich soils derived from human or animal waste. I am not quite sure if I will be going back in a few weeks time to gather a tasty crop though!